One rainy afternoon back in 1923, Albert Messmer, a football fan and a fine boot maker, was distraught seeing the conditions of the players who had no control on their moves and were rendered helpless in the muddy waters of the field. This reminded him of the bumblebee which flies despite its weight. He worked tirelessly to perfect the shoe that would make the footballers akin to the bumblebee, known as hummel in the German language. Thus came about the first ever football studs and is a tribute to the bumblebee that never gave up despite its weight. 95 years after that rainy day hummel has now set foot in India, from where they have been running a substantial part of their production. Christian Stadil, the owner of the parent company Thornico says he would visit India often and has seen it grow before his very eyes. Getting to know the Indian market and its audience first hand, Stadil decided to that India need to be more than just a production hub and it had to be long term. Unlike most brands which first look at China and thereafter consider moving into Indian markets, hummel went the other way. They made their foray in the e-commerce space in India to test waters and now after a couple of successful ‘beta testing’ months, is sought to launch in China in a month or two. “India is a broad prospect for us to explore into the diverse culture and ethos which is part of the Karma that we so believe in at Thornico. Progress of India excites us a lot. The GDP growth of India as compared to other markets is highly impressive. Most importantly, there is a huge potential for alternate sports brand with a different offering than the existing mainstream sports brand.” Christian Stadil (owner of the Thornico group & hummel International). Under the leadership of Stadil, who took charge in 1999, hummel has incorporated "Company Karma"; a business model which looks to utilize sports to promote change in some of the world's most disadvantaged communities. This move has transformed the company from a simple sports brand into one of the most socially responsible corporate entities on the planet. hummel operates on the motto to “Change the world through sport”. This has taken hummel to unchartered territories where other brands have not ventured into. 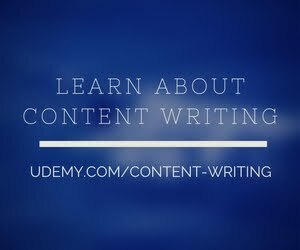 While many brand campaigns feature the underdogs, the focus has always been on winning. For hummel, sport doesn’t imply only winning, it isn’t about finishing first, it’s about finishing together. Overcoming boundaries and parameters set by communities and the audience, hummel overcomes and has broken all stereotypes where other brands fail. This is majorly reflected in their sponsorships for the National Amputee team of Sierra Leone (hummel has given people the power to hope even through wars and lost limbs) and also by designing the first ever hijab jersey to encourage the women of Afghanistan to play football and again bring hope where it seems bleak. The Afghanistan Women’s football team has won some and lost some matches, but they are making a much larger impact in the world. They have championed a cause and broken a barrier. That in itself is an achievement. Path breaking, is not a new term for hummel, it is engrained deep in our nature as well as culture. 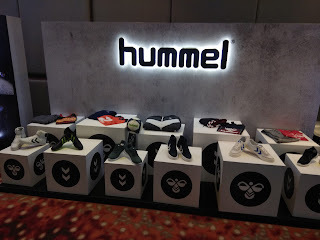 Currently selling on Jabong & Myntra in India, hummel is already on its way to create new records. With a very high retention rate, hummel ranks in the top league of all available sports brand selling on Jabong & Myntra. In addition to its existing collection, considering India’s diversity, hummel is looking to come up with a more vibrant collection to cater to the colorful palette of the Indian audience. 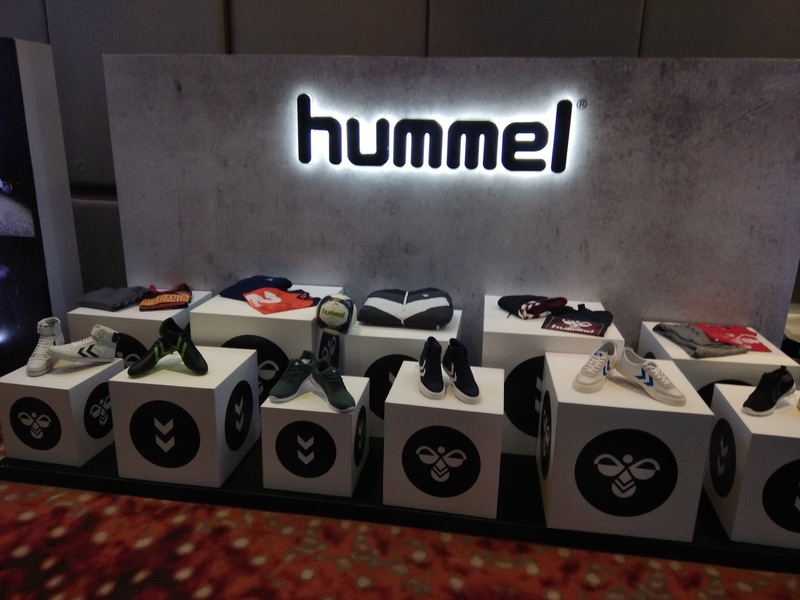 CEO Allan Vad Nielsen said that, “India is one of the top most focus market for the brand, hummel”. He added, “We will create branded content & products for the Indian market because we are here to stay”. Established in 1923, hummel® has a long history of creating sportswear. Both defining and defined by the Danish design tradition, hummel® works with clean lines, but also with mad love for the edgy look and strong color combinations. Since 2006, we have also been engaged in fashion trainers and today, hummel® shoes stand as a strong alternative to the convention with a passion for fun and catchy designs and vibrant colors. The collections also reflect our significant sports heritage drawing on classic sports styles from the brand’s own archives.